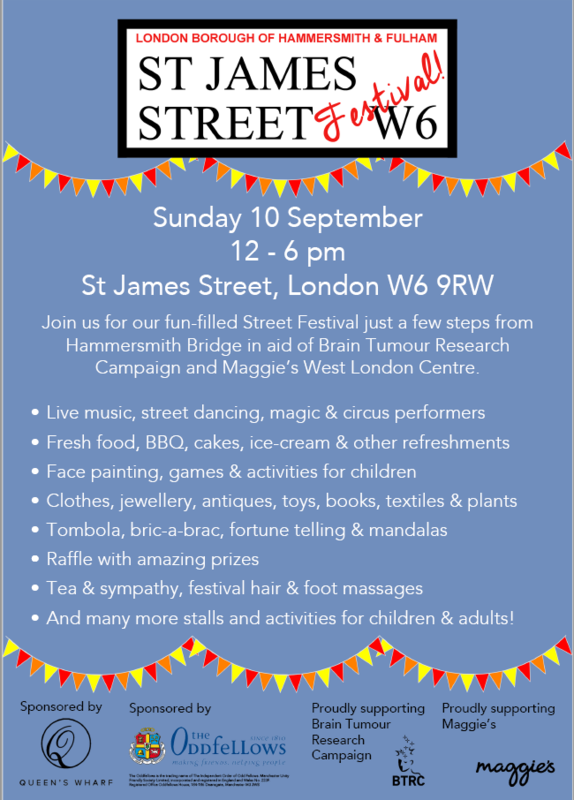 The popular St James Street Festival, now in its third year, takes place this Sunday 10th September 2017 . For the past two years the St James Street Festival has raised thousands of pounds for The Maggie’s Cancer Care Charity and this year adds BTRC as its official Charity. 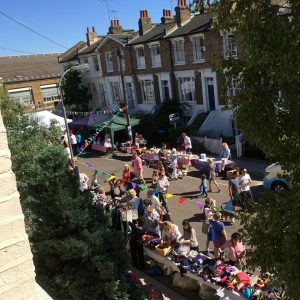 There will be an array of entertainment, including live music; the famous Magician Fay Presto; Street Dancers; the Circus School; the Hammersmith Morris Men; Vintage and Antiques Stalls; Clothing; Face painting; Jewellery; Fortune telling; Barbecue; Ice Cream and wonderful Drinks and Cocktails and much more. The festival set on this picturesque and quintessentially Victorian Street offers a great day out for all the family.